With the implosion of the second special legislative session Monday night and the expected call for a third one this year, there is a certain amount of rhetoric out there that is both entirely expected and, as usual, completely wrong. Governor John Bel Edwards has blasted a “minority” in the legislature that cost him the budget and revenue he wanted. Karen Carter Peterson blasted the “selfish” few legislators who wouldn’t increase your taxes. For some reason, they failed to mention that the precious few were never the same group twice. It’s true. The minority required to scuttle tax bills was a different minority each time. In the first legislative session, it was the Legislative Black Caucus, who were absolutely opposed to an increase in the sales tax. Their refusal to come to the table cost the state their first opportunity to get the problem solved. What is strange is that no one outside of The Hayride has pointed out that the LBC’s choice to blow up the first special session came after a year of Edwards promising he could bring their votes in. More recently, it was a constantly-shifting “minority” that ruined Lance Harris’s and Walt Leger’s tax bills. Fiscal conservatives, the LBC, and even the moderate Republicans all played a part in the demise of the second session. But, everyone is focused on the House conservatives, led by House Speaker Taylor Barras. Like I said, entirely expected but completely unwarranted. The fact of the matter is that you are being lied to when they tell you conservatives have destroyed state government, or whatever the panicked cry is today. There are multiple groups involved with the disaster that was the special sessions. And while we’re at it, let’s talk about the term “minority”, which is being tossed around by the people who are most upset. Louisiana is one of the few states left in the country that requires a two-thirds vote in order to pass a tax. It is a failsafe intended to keep at bay a government that would otherwise continuously feast on your paycheck for sustenance. It is meant to protect the people of Louisiana, the vast majority of whom voted for conservatives in the last several state and federal elections – John Bel Edwards was the sole exception, a man who didn’t win an election so much as David Vitter lost. He wasn’t indicative of some Democratic wave. The people were just tired of Vitter’s past continuously popping up. If there is a minority that is screwing this up, this is the comedy duo of Edwards and Jay Dardenne, who firmly believe they have way more power than they can properly wield. He can’t even control his own party. The LBC proves that much. This isn’t on the conservatives. They are doing exactly what their voters asked them to do when they elected them. 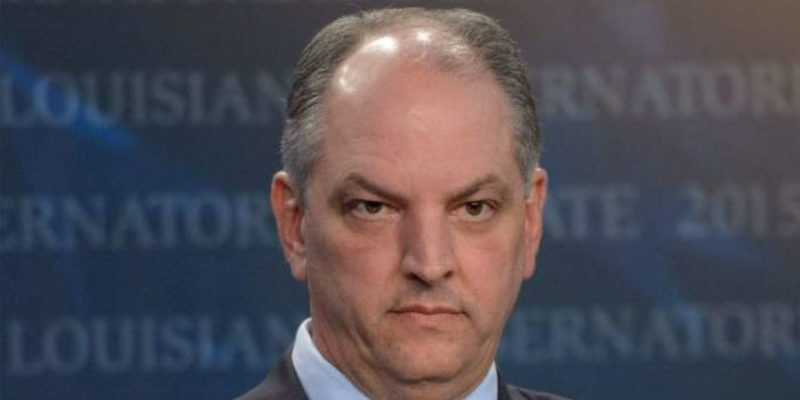 They are representing the people of Louisiana, who certainly don’t believe what Edwards believes. This is on Edwards and the party he can’t really control, no matter what he says.